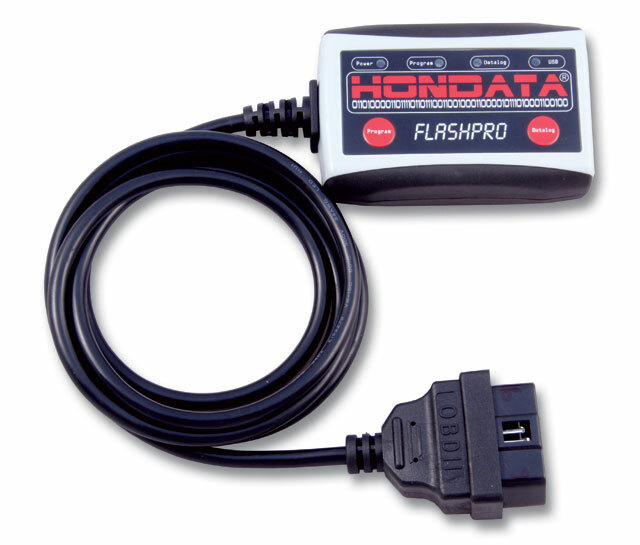 The Hondata FlashPro is the best performance part you can get for your car. Whether your car is completely stock, an intake header and exhaust, a supercharger or our AJP turbo kit, the FlashPro handles it all. Simply put, the FlashPro stays with your car for its entire life. Plus, with the 20-hour datalogging feature, you can have your car tuned remotely. You record a datalog, send it to a tuner along with your calibration file, and get a new calibration file for you to upload. Get your FlashPro today before you order anything else and enjoy the noticeable improvement.